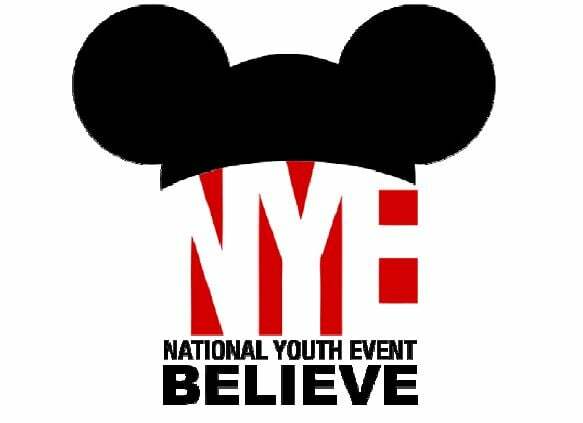 Visit www.ucc.org/nye to register as a volunteer at-large for National Youth Event 2016. What is the deadline for volunteers to register? Volunteers must register before NYE registration site closes which is May 27. But we encourage volunteers to register sooner as we have limited space. How many volunteers will be needed for NYE 2016? Our goal is to welcome 200 volunteers in support of NYE. Volunteers will register at the same cost as all attendees. Visit www.ucc.org/nye to review the rates for double and single occupancy. Rates begin at $549 per person/double occupancy. Meals are not included. We will provide lite refreshments and snacks for volunteers during their hours of scheduled service. If I am a local volunteer do I have to register for NYE 2016? If you plan to volunteer locally, please email [email protected] for additional details for local volunteers. Will I be safe from the Zika Virus? We recognize the concerns regarding the Zika Virus. We refer registrants and volunteers to the Center for Disease Control (CDC) to learn more about the disease and to address any questions of concern. The CDC’s website is: http://www.cdc.gov/. Can youth group chaperones also be volunteers? It is our preference to have dedicated volunteers that will support the event without other commitments. But we absolutely welcome volunteers that are also serving as chaperons if the volunteering will not compromise or create conflict in the duties and commitments as chaperon. Serving as chaperon should be prioritized over volunteering. Can I use my background check from church for this event? All volunteers will be provided the same background check material required to register as a volunteer. We ask that all volunteers utilize the background check provided by NYE volunteer leadership team. Yes, your background check will cost you an additional $15.00. Detailed information will be provided once you are registered to volunteer. Will I have to go to the theme park? Volunteers are only asked to go to the theme park when volunteering for a program that is based at one of the parks. There will only be two designated volunteer opportunities involving a theme park and it is before the theme park opens. Volunteers will be requested to assist Disney program staff with the implementation of the program. Outside of this request for volunteers, there is not a requirement to go the theme parks. Can I exchange volunteer time for a table in the exhibition hall? No. At this time, this is not an option. If you are a local volunteer, please email [email protected] to learn more about local volunteering options and opportunities. Do I have to purchase any special apparel? We will have a limited supply of courtesy t-shirts to provide to volunteers. So please sign up early for an awesome NYE t-shirt. Please indicate your t-shirt size: M, L, XL, or 2X. Will I need to volunteer for more than 1 day? We are seeking volunteers with the ability to volunteer for more than one day as our need is great. If volunteers can commit to at least two days of service; it would truly be a generous offering of support in our efforts to provide this service or hospitality and ministry to our youth groups. Is there a minimum number of hours I am required to volunteer? There is a not a minimum number of hours. However, we are asking for volunteers to sign up for at least two 4-hour volunteer time slots or 8 hours or more to help us cover the variety of ministry outreach to and with our youth groups. We will provide details on training which will occur virtually to volunteer registrants in advance of the training. There are some select positions that may require in person training. Those volunteers will be notified and details will be provided. Am I required to be present for training? All trainings provided will be required if applicable for your area of volunteer service. We welcome young adults between the ages of 19 and 20 and adults, 21 and older, to serve as volunteers. As a volunteer may I attend other workshops and programs that are offered? You must be registered as a paid participant for NYE 2016 in order to participate in other workshops and programs. Can parents and family members of youth attending NYE 2016 sign up to volunteer? Family members may sign up to volunteer for NYE, but we strongly encourage only volunteers with the ability to serve without conflict to other commitments and responsibilities to sign up. Please email [email protected] to explore options. What jobs are available for volunteers? Registration – welcome and extend hospitality and responsive care to arriving youth groups. Tuesday, July 26, AM and/or PM shifts. Transportation – oversee loading of buses and transitioning youth groups from Coronado to off-site activities. Wednesday, July 27 and Thursday, July 28. AM and/or PM shifts. On Site Communication, Information & Logistics – support NYE on site office and staff providing hospitality and event logistical support. Duties vary. Tuesday, July 26 through Saturday, July 30. AM or PM. Worship Ushers – Provide support during plenary/worship sessions including, but not limited to: offering, communion, parade of banners, badge check, etc. Tuesday, July 26 through Saturday, July 30. AM or PM. Workshops/After Hours – Provide support for two on-site workshop sessions and late night afterhours; including checking room set-up, runner for speakers/presenters, support to logistics and communication team. Wednesday, July 27 and Thursday, July 28. At-Large– assist with various tasks including supporting the TIE-Hall (interactive educational space)set up (Tuesday, July 26) and tear down (Friday, July 29); runner for NYE staff between office and program/worship teams; safety and support; and provide calm, patient and flexible support as needed. Off Site Outreach – provide assistance for local community outreach and educational opportunities for youth groups including Disney YES and service projects. Wednesday, July 27 and Thursday, July 28. Begins as early as 5 AM for some projects through 4 PM. What qualifications are needed to volunteer? We are looking for adults who have a passion for sharing God’s love with the youth of today and have a reputation of patience, compassion and kindness. Most of all, for adults who have a genuine respect for our youth and all the gifts they to share with God’s world. Email [email protected] and visit www.ucc.org/nye. Worship—we have a need for a diverse group of young adults with an interest in worship liturgy to support the worship planning team with program development for worship and plenary services. This could range from movement/dance/martial arts, voice, theater, composition of prayers and litany and the like. This team would support two daily worship/plenary sessions and support the worship team with liturgy curriculum development. We require all of our participants to complete a safe church covenant form, safety/media/medical waivers and background checks. We also require professional boundaries and standards of appropriateness as we engage youth and all participants and special guests participating in the event. Music—we have a need for a diverse group of young adults with an interest in music worship and liturgy to support this planning team develop an eclectic, fun, contemplative and worshipful sound for daily plenary/worship experiences. We will be working with two house bands next summer and multiple invited musical guests. We require all of our participants to complete a safe church covenant form, safety/media/medical waivers and background checks. We also require professional boundaries and standards of appropriateness as we engage youth and all participants and special guests participating in the event. Disney YES! & Service Projects—we have a need for a diverse group of young adults with an interest in service projects and cultural diversity. 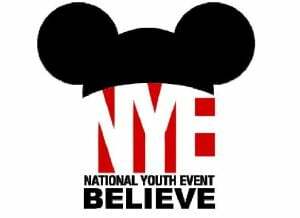 This outreach would begin at 5:30 AM for volunteers helping to rally youth participating in the Disney Yes program which will be followed by an afternoon of service projects. Disney Yes begins at 6:30 AM until 9:30 AM. Service projects will begin from 12 noon until 4 PM. There will be lunch and worship integrated in this outreach with worship being live web-streamed. We need volunteers that enjoy being outdoors, energizing youth groups at such an early morning and getting them to become engaged with the activities. Disney Yes will be held at Epcot and we will have full access to the park prior to the park opening. Service projects will take place across the city of Orlando and may range from cleaning parks and building homes to food banks and homeless shelters. We require all of our participants to complete a safe church covenant form, safety/media/medical waivers and background checks. We also require professional boundaries and standards of appropriateness as we engage youth and all participants and special guests participating in the event. social justice focused workshop proposals are needed that are led by young adults. Please note, we would love to have Piedmont college present workshops as well as volunteer to support workshops that interest the young adults. We require all of our participants to complete a safe church covenant form, safety/media/medical waivers and background checks. We also require professional boundaries and standards of appropriateness as we engage youth and all participants and special guests participating in the event. Outdoor Ministries Association—we have a need for a diverse group of young adults with a special interest in Outdoor Ministries to support this ministry partner with its programming at NYE. This may range from a rock climbing wall to singing camp songs at a make believe camp fire making s’mores. It may involve educating youth participants on the ministry and importance of supporting our camps and centers. We require all of our participants to complete a safe church covenant form, safety/media/medical waivers and background checks. We also require professional boundaries and standards of appropriateness as we engage youth and all participants and special guests participating in the event. After Hours and Volunteers at-large—we have a need for a diverse group of young adults that are night hours and can help develop and support late night programming that would convene immediately following evening worship beginning at approximately 9:30 PM until 10:30 PM. These activities would range from films, karaoke, dance, spoken word, games, music, talent show, dialogues, pool party and the like. We would need to honor the evening curfew and help insure participants wrap up in a timely manner and report to their sleeping quarters as scheduled. We also need volunteers with flexibility and interest in supporting the program wherever volunteers are needed. We require all of our participants to complete a safe church covenant form, safety/media/medical waivers and background checks. We also require professional boundaries and standards of appropriateness as we engage youth and all participants and special guests participating in the event.